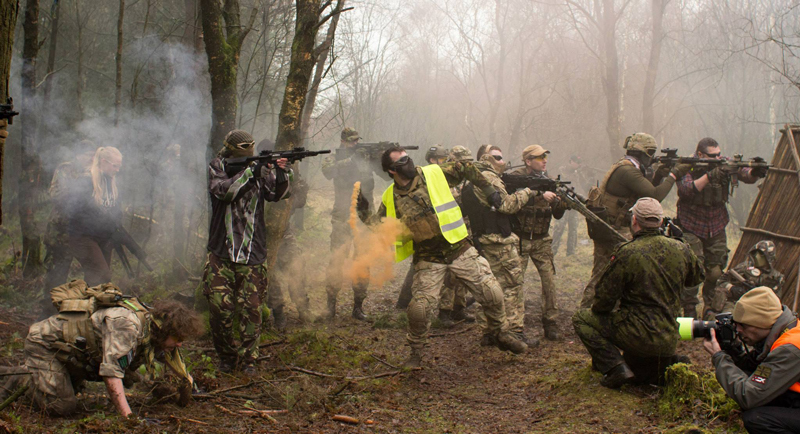 Welcome to The Fort, a long established airsoft skirmish club situated in an 80 acre woodland site in Fife. If you have stumbled upon this website and have never before encountered 'airsoft' or indeed, even an 'airsofter' we would like to offer you our heartfelt sympathies. Clearly your life has a huge gaping void, one which, once you have experienced airsoft for the first time, will become all too obvious. Intrigued? You should be. Want to know more? You'd be mad not to! What is Airsoft? Airsoft is..... a way of life really. It is so much more than grown-ups dressing up like soldiers and shooting each other with replica weapons that fire 6mm BB's. It is more than lovers of Call of Duty having the chance for some real “hands on” experience at war gaming. It is, quite simply, a life choice. A choice to celebrate all things tactical every second Sunday of the month. A choice to learn to become 'stealthy', whether in a woodland, or urban scenario. A choice to forget about the mundane, and embrace the parallel universe that is “The Fort”. Let's face it, your life is dull. Can you even remember the last time that you were ambushed? No? What about the last time you had to intercept a briefcase nuclear device? Thought not, point made really. Airsoft is your last best chance for sanity. Join us at The Fort on one of the dates listed in the Events section, bring a friend. If you do not have any friends many new ones will be provided, free of charge. So, whether you are 16 or 60, male or female, get your bum off of that seat and get some fresh air into those lungs. Learn a new skill, or if you are ex-forces, polish-up some old skills without killing anyone!. We can give you a hire gun for the day and supply you with the appropriate clothing. The only thing that you have to bring with you is your sense of adventure, sensible shoes (boots recommended) and a willingness to have fun. We appreciate that some of you may have forgotten how to have fun, but a crash course will be provided at the start of the day. Warning: It is rumoured that occasionally newcomers to the sport feel compelled to embark on some sort of counselling to learn to cope with the knowledge that had they discovered airsoft earlier, they could have been playing for longer.